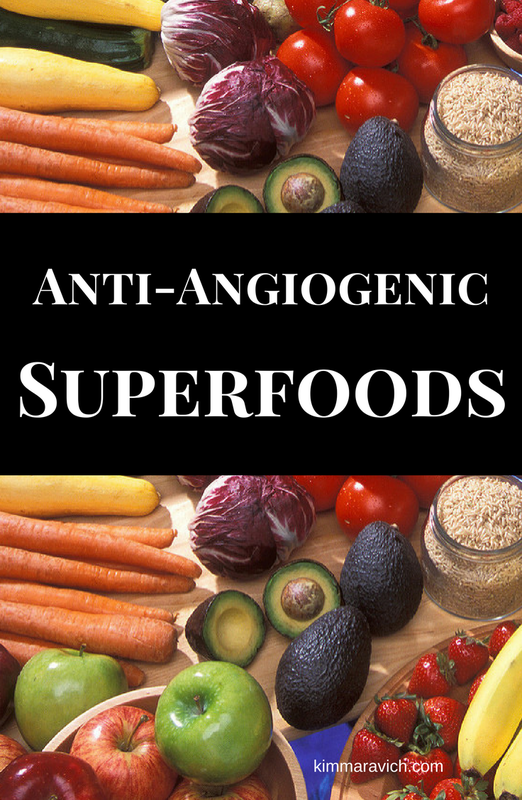 I recently wrote an article for HubPages outlining anti-angiogenic foods. If you're familiar with my book 360 Health, you know that healing nutrition is a mainstay of the book and important in cancer prevention. In case you're not familiar, angiogenesis is the formation of blood vessels. While this is a normal occurrence to some extent, it becomes deadly when angiogenesis occurs in the presence of cancer. When cancer cells cluster to form tumors, they can begin to grow in size and even spread or metastasize if they are fed a nourishing blood supply. Abnormal vessels may form in tumors that provide them with oxygen and nutrients, thus encouraging their presence. However, when someone eats a diet rich in anti-angiogenic foods, they greatly decrease their chances of getting cancer OR they can stop the disease from spreading once its present. This is fascinating new research! It's important to note that diet isn't everything. Lifestyle practices matter, too! Getting enough exercise and sleep, reducing stress, making time for self-care and for enjoyment, laughing and having friendships, supplementing wisely, avoiding environmental toxins, and implementing simple detoxes all are important in the fight against disease. If you're interested in learning more about specific anti-angiogenic and anti-cancer superfoods, please check out my article HERE.